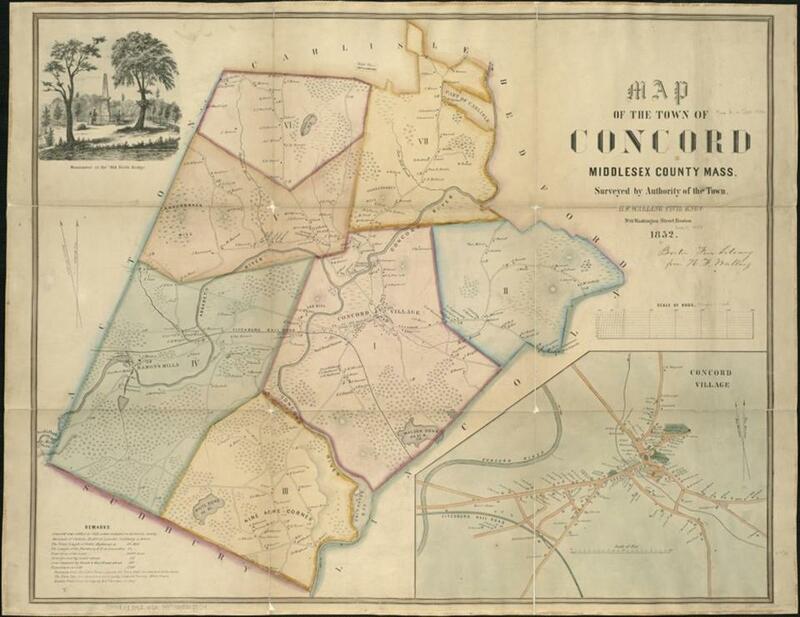 An 1852 map of Concord by Henry Francis Walling. As a name, The Trustees of Reservations sounds a bit like a Brahmin version of Guardians of the Galaxy. That’s not inappropriate, since The Trustees might be considered guardians of the Commonwealth — or at least 26,000 acres of it and more than 100 properties. The latter range from grand old estates like Castle Hill, in Ipswich, and Naumkeag, in Stockbridge, to 56 community gardens in Boston. Other Trustees holdings include the Old Manse, in Concord, and Ipswich’s Crane Beach. In 1890, a landscape architect named Charles Eliot argued for the establishment of “an incorporated association” to hold and preserve open land in the public trust, “just as the Public Library holds books and the Art Museum pictures — for the use and enjoyment of the public.” Eliot, who was the son of the president of Harvard, was not a man easily ignored. He’d also worked for Frederick Law Olmsted, designer of the Emerald Necklace. A year later, The Trustees was founded. It was the world’s first organization of its kind, predating by four years Britain’s National Trust. One grand local institution salutes another, as the Boston Public Library offers a birthday tribute. “From the Sea to the Mountains: The Trustees 125th Anniversary” runs at the BPL’s Leventhal Map Center through Aug. 28. How important The Trustees can be is attested to by the display on World’s End, in Hingham. What is now a much-loved 250 acres of open space preserved by The Trustees was at various times envisioned as a suburban subdivision, a home for the United Nations’ headquarters, and the site of a nuclear power plant. The BPL show’s 70-odd items include, as one might expect, numerous maps and photographs. There are less conventional objects, too: a pair of duck decoys, a bust of Johann Wolfgang von Goethe, a letter by Ralph Waldo Emerson, a berry basket that belonged to the poet William Cullen Bryant, and a number of vintage seed packets from Naumkeag. Take your pick: burgundy petunias or extra early snowball cauliflower. Also from Naumkeag is what may well be the most cherishable item in the show, a 1920s picnic case. A marvel of efficient design and luxe leisure, it’s a suitcase packed with china, cutlery, and linen napery. You know how in “Dr. Strangelove” Slim Pickens gets such a kick out the contents of the Air Force survival kits? “Shoot! A fella could have a pretty good weekend in Vegas with all that stuff.” Here’s a Berkshires equivalent.